Manufacturers can make great claims about their products and reviewers can wax lyrical, but it's not always a guarantee that you'll like what you hear. We went a stage further a few years ago by starting our 'home trial' loan scheme so you could hear our products in your own home - giving you the chance to give them a proper audition - removing the odds of you buying something you'd not be satisfied with. The loan programs are run by volunteers who are enthusiastic about our products, and that's done through our online forum - join and you are able to use that service. But still, when buying anything it's good to see the faces of the people doing the talking, so this year we decided to take as many products as we could on the road in the UK. 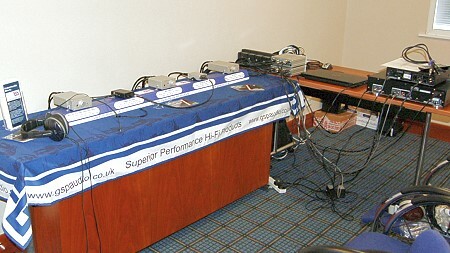 Our first Road Show event happened on the 29th May 2014 at the Holiday Inn, Weston Turville near Aylesbury in Buckinghamshire. 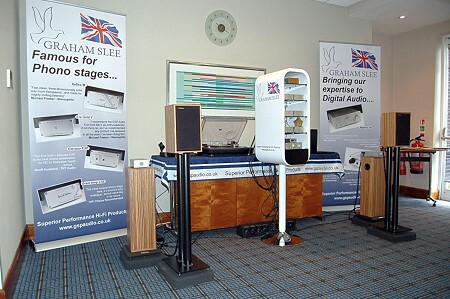 Not only was it a good opportunity to hear our products in action, it also brought our Forum 'to life' with some of our most prolific contributors attending and being on-hand to advise visitors. It also enabled members to introduce themselves to each other for the first time. 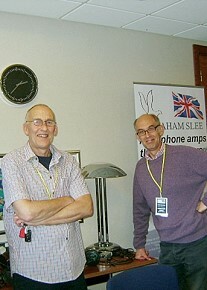 With our staff being a bit thin on the ground - there was just me, John and Ryan - our experienced 'owners' helped us man and demonstrate our headphone amplifier range in the Christie suite - something I was very grateful for! 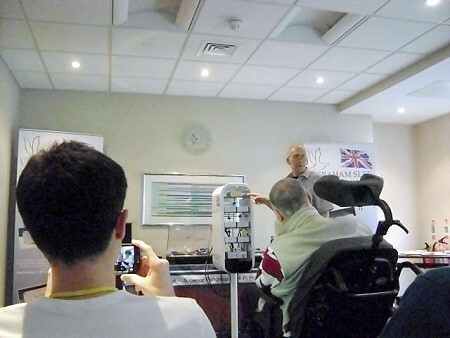 In the Olivier suite we had nearly the entire range of Phono Amps, the Bitzie USB and Majestic DACs, and the Proprius 'mini' monoblock power amplifiers, and I delivered four presentations during the day, assisted by my production director John Cadman. 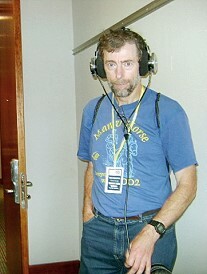 As with hi-fi shows in general, demonstrating using loudspeakers in an unknown room presents its own challenge: it's quite difficult to control room resonances, and you sometimes just have to make a few compromises. Even so the feedback from those who were there showed we'd got a good sound going. You can read what Forum members thought about the presentations, demonstrations, the sound and everything else about the day starting here. 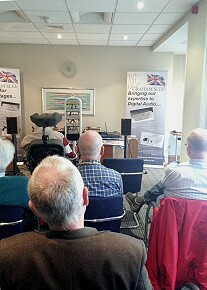 We shouldn't forget that hi-fi listening is often all those who suffer disabilities have as an interest or hobby. 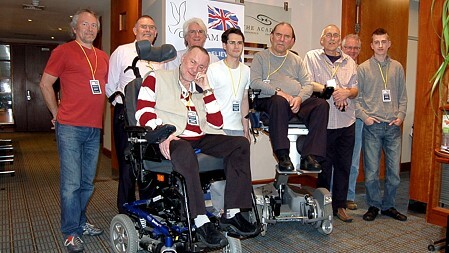 We made sure those wheelchair-bound got an equal opportunity of having an enjoyable day by carefully choosing the venue to have the right facilities - something we'll be doing every time we do one of our independent shows! 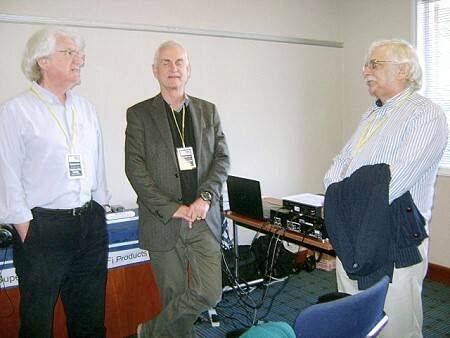 Amongst the visitors we had a couple of members of the hi-fi press - from Hi-Fi World and What Hi-Fi? Sound and Vision. We're hoping they'll spread the word about our Road Shows in their future editions. OK, the sound was show quality which can never be perfect but we hope they'll have the experience to take that into account.